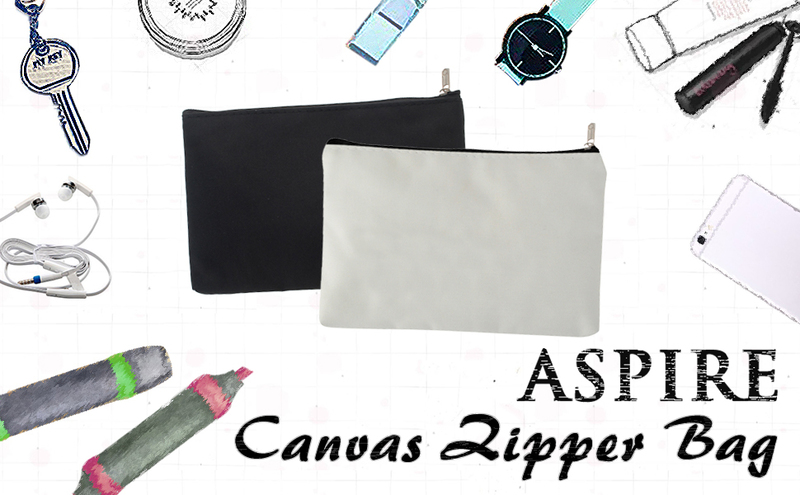 Opentip.com: Aspire 60-Pack Black Canvas Zipper Pouches for DIY Project 6 3/4" x 4 3/4"
42.90 In Stock	Aspire 60 Pack Canvas Pouches with Zipper DIY Fabric Bag 6 3/4" x 4 3/4"
Aspire 60-Pack Black Canvas Zipper Pouches for DIY Project 6 3/4" x 4 3/4"
Size: Approximately 6 3/4" Width x 4 3/4" Height (17 x 12cm), practical for store stationary, cosmetics, cards and so on. 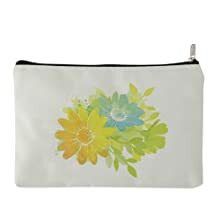 Use your Cricut machine to cut out iron on vinyl and iron them onto the pouches. 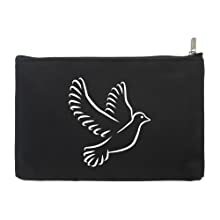 Then the bag becomes unique gift for your friend and family on all important events. It is noteworthy that before applying any heat to exterior, youd better open each pouch to avoid the canvas stick together. 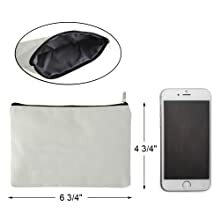 Just have a bulk to design your unique pouches! While these bags are nice, the quality and fabric is not consistent. In each order I have received fabrics that are a completely different weave, color, etc. 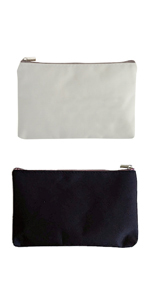 I have received stained bags with each shipment I have purchased of the white makeup bags. In one order of 60 bags I received between 25-30 stained bags. The company did replace them, but it's frustrating to have to wait for a replacement every time I order. I have now been received stained white bags for about 6 months, so it's obvious that the issue is not being fixed. The bags were exactly as described. They worked well for adding designs to them with a heat press. My order came faster then expected which was a big plus. I will order from Open Tip again. I ordered 5 dozen of these bags. 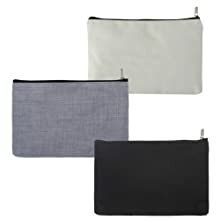 I love these aspire bags so much however almost all my blue/gray bags have a strong musty mold smell and are unusable. And over a dozen of the white bags are dirty with black lines on them. 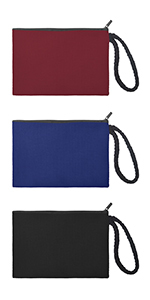 I�m so bummed because other than these two problems these bags are awesome. Exactly what I wanted. Good quality, and received them in a timely fashion .